We recently celebrated the launch of our brand new four bedroom Hampton showhome in Yate, with an open event at which purchasers could make the most of great deals available, if you've not been to see - it's definitely worth a look. The four bedroom Hampton is a detached home with magnificent master bedroom suite with galleried landing, ensuite and walk in wardrobe. 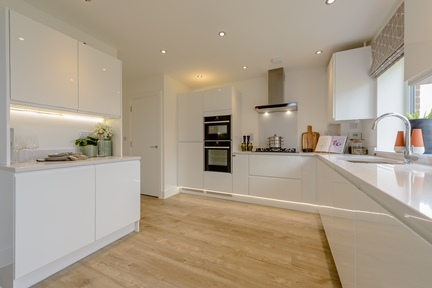 Each home comes with a high specification as standard, with Neff appliances in the kitchen, Villeroy and Boch white sanitary wear, outside tap and turf in the garden. 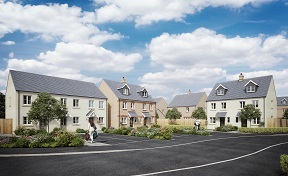 The development offers prospective purchasers the opportunity to take a look around two beautiful showhomes to see the selection and quality of homes on offer. Those who reserve certain plots could also benefit from stamp duty contributions and flooring packages. 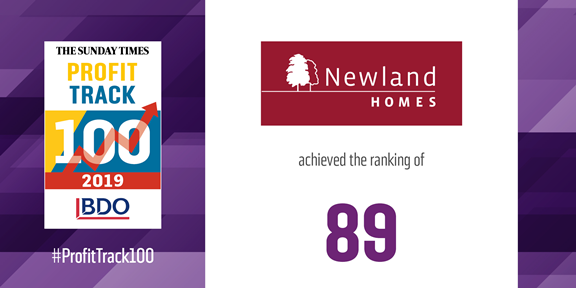 The development has proved popular with local homebuyers looking for quality homes in some of the best locations. Amberley appeals to many as it is a smaller, more intimate development of 31 homes set in three cul-de-sacs on a no-through road. 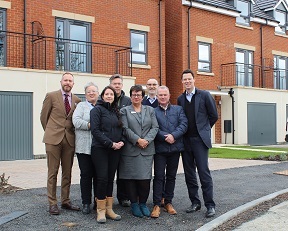 Across the road is also our previous development of Churchill Gardens, completed in autumn 2017, which shows the well-thought out design and attention to detail that is typical of a Newland home. Amberley is conveniently located for Yate shopping centre as well as the medieval market town of Chipping Sodbury. 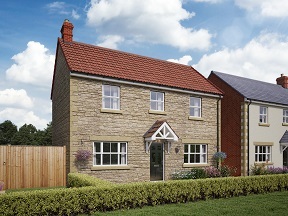 Also currently available at Amberley is the four bedroom detached Hilmarton home, which is an attractive double-fronted four bedroom detached home with kitchen/breakfast room boasting central island and French doors on to the garden. With three double bedrooms and one single, there is room for growing families as well as for those just looking for extra space. Gail Remnant, Associate Sales Director at Newland Homes, said: “The new showhome at Amberley is a beautiful example of a Newland Home. With living and bedroom space spread over three floors, we’re sure that visitors will be impressed by the space on offer as well as the finish of the homes and offers available over the weekend. The Amberley marketing suite and showhome is open daily from 11am until 5pm. To find out more click here.